The Tivoli XLV - an extended body model of the SsangYong Tivoli compact SUV, looks set to redefine the small SUV segment. "Tivoli has received high praise in other countries for meeting a number of customer requirements, not least its ability to carry five adults in comfort, and for having one of the largest boot capacities in its class." Said SsangYong Australia Managing Director Tim Smith. 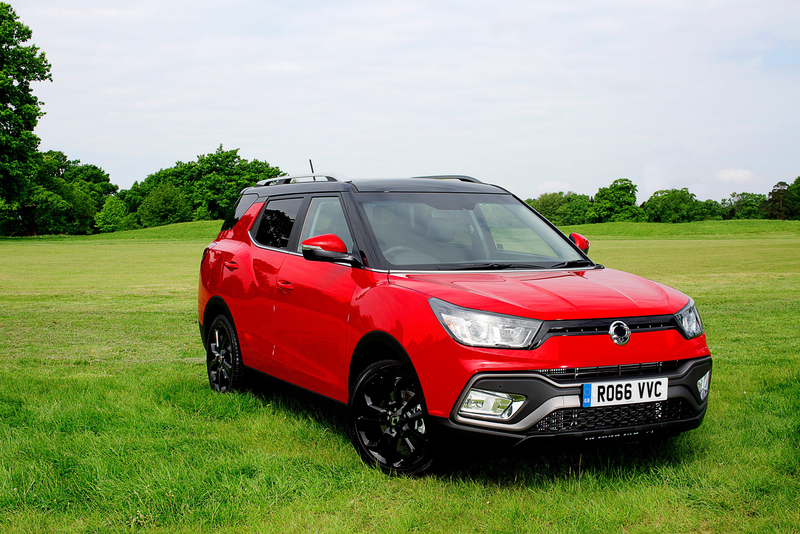 "Now SsangYong has gone a step further by launching an extended version to provide even more carrying capacity and practicality." Sharing the same platform and 2,600mm wheelbase as the Tivoli, the XLV features a lengthened body from behind the C pillar, an increase of 238mm over the standard car, expanding the load capacity to a huge 720 cubic litres of space. Meanwhile, the styling cues that distinguish Tivoli are retained, including its harmoniously fused SUV body design, sports coupé look and floating roofline. Designed to offer a multi-role, multi-function solution to a wide range of customers, Tivoli XLV provides just the versatility needed to meet individual lifestyles: family car for lugging baby buggies and cots for small children, bikes and golf clubs for the sports-minded, and materials or business equipment during the working week. Passenger safety has been a top priority for this car, and each version comes with seven airbags including front, side and curtain airbags plus a driver's knee airbag, multi-function ESP (Electronic Stability Program), Active Rollover Protection, Brake Assist, Hill Start Assist and ESS (Emergency Stop Signal), a tyre pressure monitoring system and a warning reminder on all five seat belt positions. Autonomous emergency braking, forward collision warning, lane keep assist and high beam assist are also standard on every model. Tivoli XLV is offered exclusively with a Euro 6 compliant 1.6-litre diesel engine, matched to a 6-speed Aisin automatic transmission. The newly developed 1.6 litre e-XDi160 diesel engine produces 84kW of power and 300Nm of torque from just 1,500rpm, delivering a smooth, progressive and powerful driving experience. It also features a fifth generation E-VGT turbocharger which maximises performance especially in the mid-low speed range so it is fun and responsive to drive. With manual transmission there's also ISG (stop/start) to meet the demand for low CO2 emission levels. The 1.6 litre diesel engine achieves a CO2 emission level of just 154/km (two-wheel drive), and economy of 5.9 litres/100km. The SsangYong DNA is all about 4x4, and the Tivoli XLV draws on this by offering the option of an intelligent 4-wheel drive system. The electronically controlled on-demand system distributes power to front and rear drive shafts, and automatically adjusts to the road surface and driving conditions to optimise performance. In normal driving, the drive system distributes all power to the front wheels to enhance fuel efficiency, and automatically adapts to 4-wheel drive in snow or wet slippery conditions, by diverting power to the rear wheels as well to ensure driving stability. For increased stability and reassurance, particularly when driving on a hill or slope, the 4-wheel drive operates with Hill Start Assist which helps by delivering power to any wheels that are spinning. And for optimised braking performance, ESP and ABS also control the 4x4 system for greater safety. With a 167mm ground clearance, approach angle of 20.0 degrees, 20.8-degree departure angle, and 17.0 degree ramp angle, the Tivoli XLV can venture off the beaten track. Comprehensively equipped, the Tivoli XLV features digital-dual zone automatic air conditioning, an infotainment system with 7" high-resolution touch screen, USB port, Bluetooth connectivity, Apple CarPlay and Android Auto and rear-view camera. There is cruise control, parking sensors front and rear, rain sensing wipers, automatic headlight activation and roof rails. Like every model in the SsangYong Australia range, the Tivoli comes complete with a comprehensive seven-year, unlimited kilometre warranty, seven years' roadside assistance and seven years' service price menu. The Tivoli XLV - an extended body model of the already popular SsangYong Tivoli compact SUV.